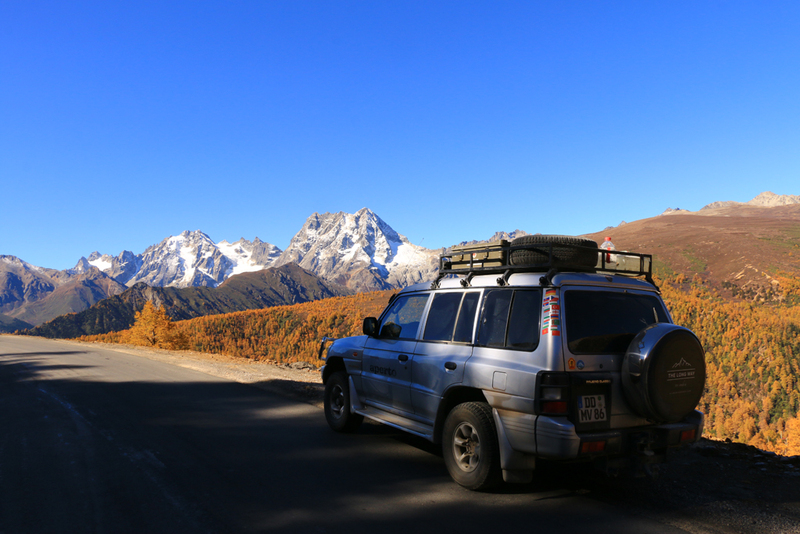 We had some very exciting weeks when we crossed Tibet. For getting closer to the final destination India the rout was now going through south China and Laos. Really, there was no alternative. The border to Nepal is closed for foreigners since the earthquake in 2015. 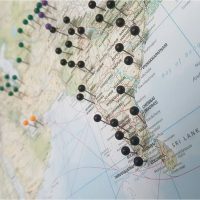 The next possible border crossing is north Myanmar. This area is controlled by rebels and passing this area is a risk which I’d like to avoid. That’s why leaving Laos from China was the only alternative. 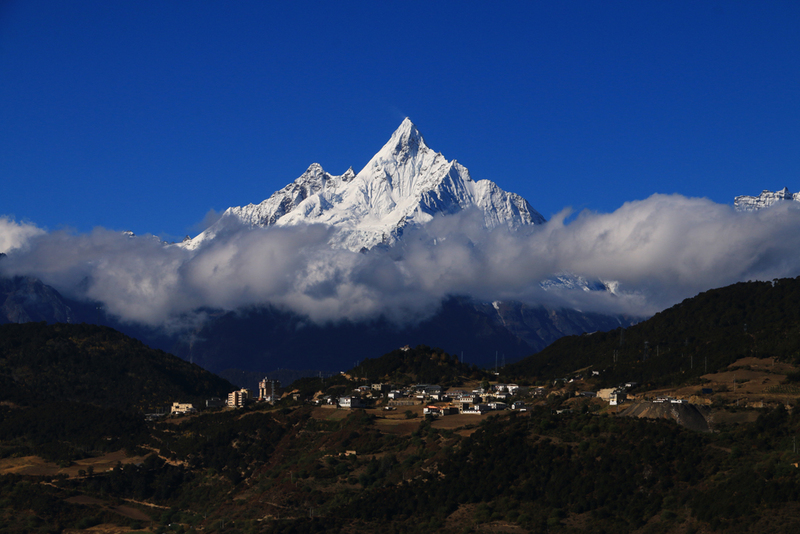 And it also meant that we had to cross the southern region of China – Yunnan. We left Tibet with a fantastic view to the holy mountain Karwo Karpho. Fantastic view towards the Karwo Karpho. 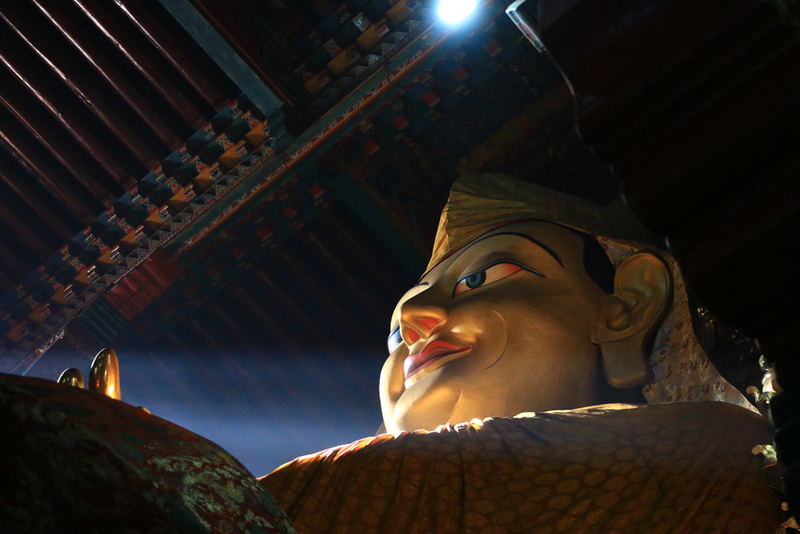 We got a new guide in the Shangri-La, the first city outside Tibet. Butschung, our guide for Tibet was now free to go back to his family. 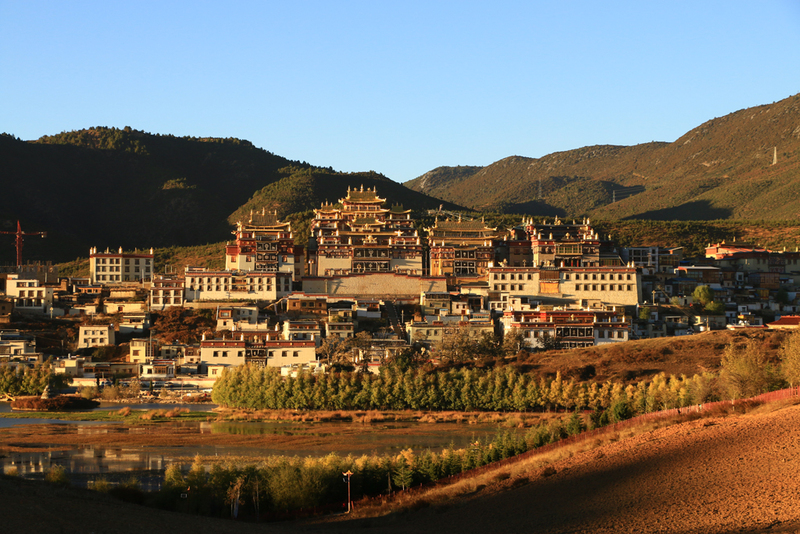 Shangri-La was once also a part of Tibet. After the occupation of China they assigned several parts of Tibet to China. Cities got new names and Han-Chinese were settled to the new land to give the new Chinese cities also a Chinese look. Shangri-La, before Gyelthang, had the same destiny. The city was renamed 2001 into Shangri-La to make the city more attractive for tourists (Shangri-La also means paradise). Nowadays remembers a big monastery complex to past times. The old town is completely renovated, full of Chinese tourists and looks a little bit like Disney Land. 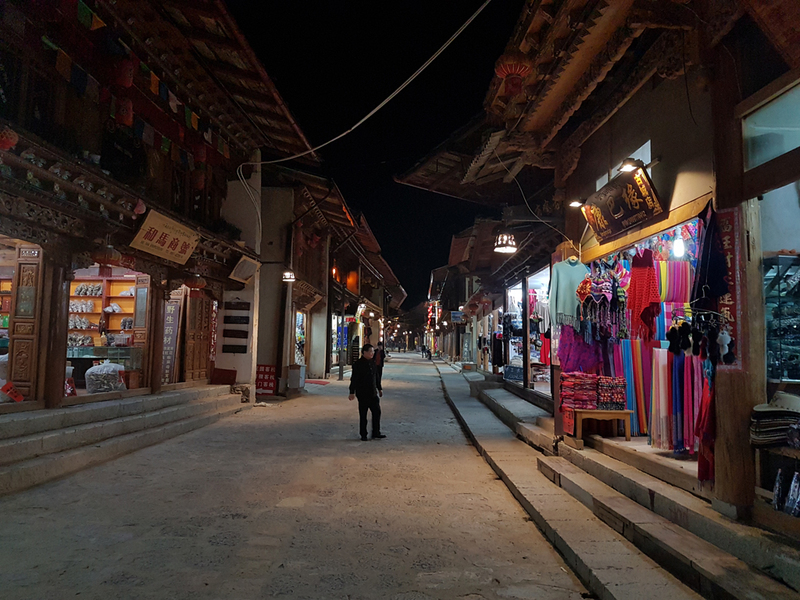 It was a weird feeling after all the experiences of Tibet to walk to the streets.